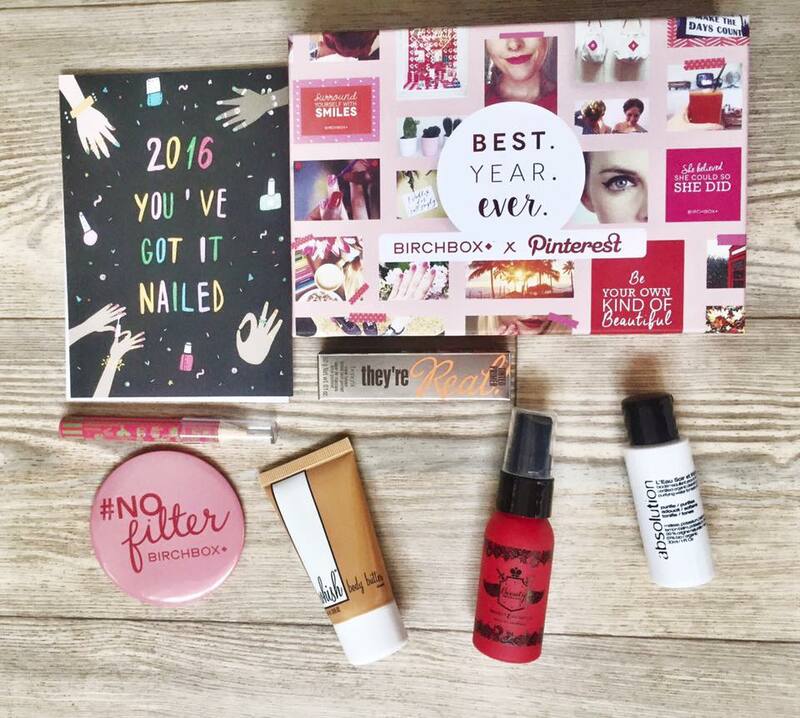 This Birchbox has got to be the one I was most excited about, not for the reasons you would have thought either! I wasn't over excited because I saw what was to come inside it's because I am starting from the beginning of the year! I got my first Birchbox towards the end of last year so I missed out on a lot of boxes from 2015, and this year I won't! (Yep i'm sad haha!). I really like the look of this months box. I love the design of the box itself its really colourful and girly which I love. This months box includes some really interesting products which I can wait to try out. 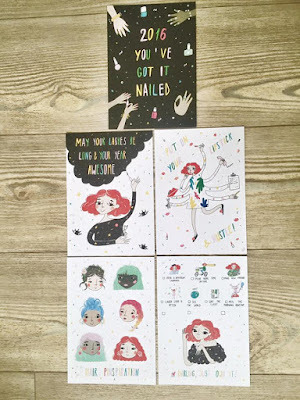 This month box included 6 really pretty postcards, I know I definitely won't be using them as postcards I'm sure I will find some use for them as the designs and quotes on them are stunning and quirky. The second non beauty product related item is the compact mirror, This will be perfect for throwing in your clutch before a night out as it is not only cute but it is also small and well..compact haha! this product is a tinted primer for your lashes. I have heard of eyelash primers before when the double ended mascara was a massive craze a few years a go, other than that I haven't really heard about people using eyelash premieres or really thought about using one myself. I can't wait to give this a go to see if it really does lengthen and boost each individual lash ready for mascara. This product is for using in your water line and it is supposed to brighten your eyes essentially making you look more awake. I love the concept of products like these as my eyes can look quite dull when I haven't had enough sleep. Lets hope it works! This body Butter is organic and leaves no greasy residue, to concur dryness and leave your skin feeling silky-smooth. I love body butters so much as do a lot of other people. I love the smell of this body butter and I look forward to giving it a go. I tend to use a lot of body butter because I fake tan on a regular basis so I am always up for giving re ones a go. This product is a Birchbox best seller, it is used for detangling and minimising frizz. I have had a couple of products from this brand in previous Birchboxes and I love the company! All of their products which I have tried are amazing and they all also smell so good! I have ridiculously long fine hair so it does tend to knot really easily. Unfortunately I also have a really sensitive scalp so detanglers are a saviour for me. No doubt this product will be amazing like their other products. I am a huge lover of cleansing waters, I love the 2 in 1 products for when I'm feeling super lazy. This product is supposed to remove all makeup as well as leaving the skin feeling soft and refreshed. I am really looking forward to using this product also. I am over the moon with this months Birchbox, there isn't one product I can't wait to try. Ooo I love Jelly Pong Pong! I'm interested to hear if it works as I've never heard of putting something on your water line for your eyes before!